A group of 11 teenage girls identified inspirational migrant women in their lives to create a visual narrative of their life experiences through photography. 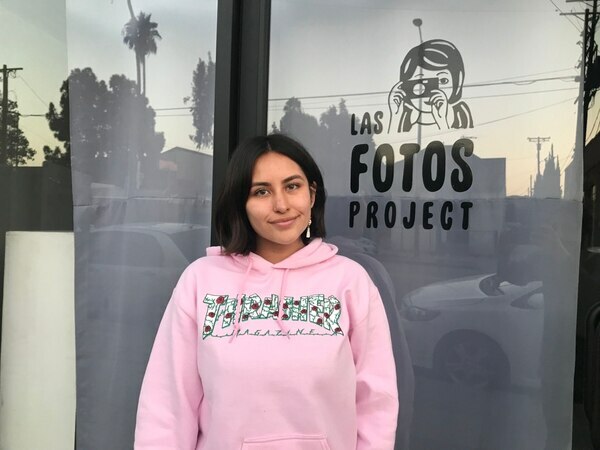 Las Fotos Project, a community-based nonprofit organization, located in Lincoln Heights has the mission to show young girls how photography connects to the Los Angeles community. 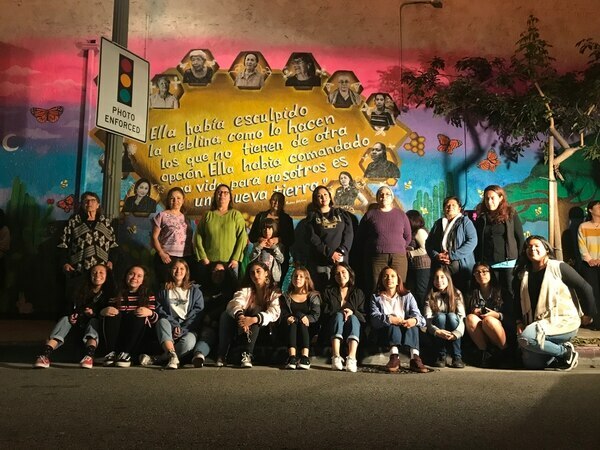 The organization partnered with a community arts center, Self Help Graphics & Art, to create a Migrant Mamas Mural in Boyle Heights. 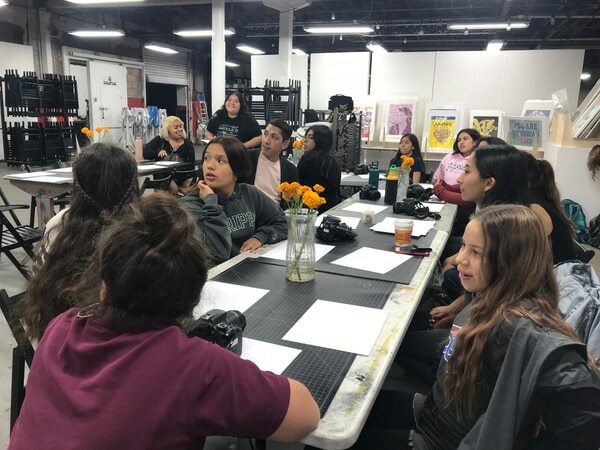 Eric Ibarra said he founded Las Fotos Project in 2010 because there are not enough safe spaces in Los Angeles where girls could come together to be creative and seek the guidance from mentors. 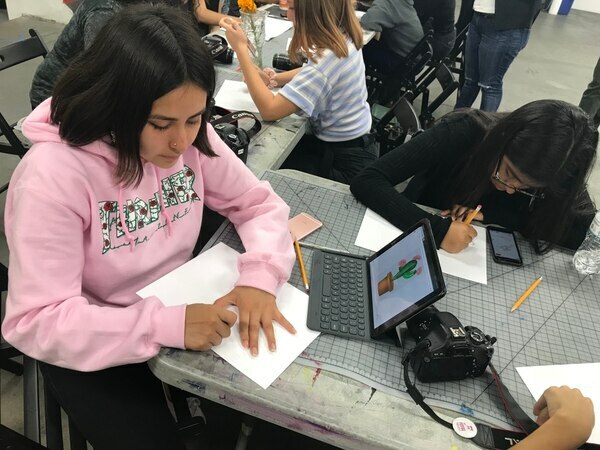 “Our program is created to connect the students with histories and stories of people that are from these neighborhoods so deeply rooted in L.A.,” Ibarra said. Among the 11 migrant women of color on the mural are mothers, aunts, sisters and grandmothers. This mural allowed the girls to learn more about the triumphs and pitfalls of the migrant women they selected. 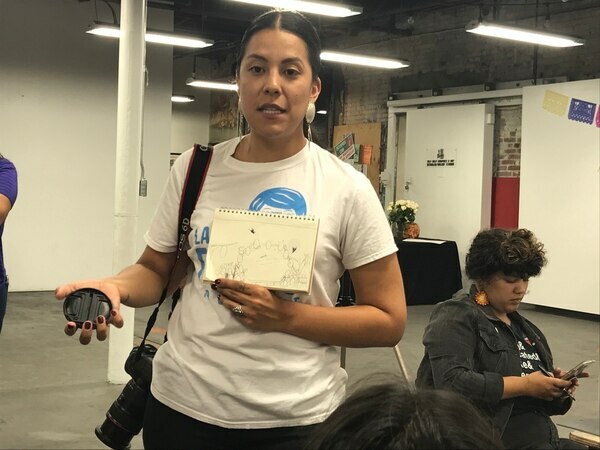 “We want to spotlight stories of women who haven’t been publicly shared to change the perspective that folks might have on migrant women and realize that migrant women from Los Angeles have rich stories and stories that can inspire others,” Ibarra said. Jerylee Perez chose to photograph her mother because she is a survivor of domestic abuse who has raised three children by herself despite financial obstacles. 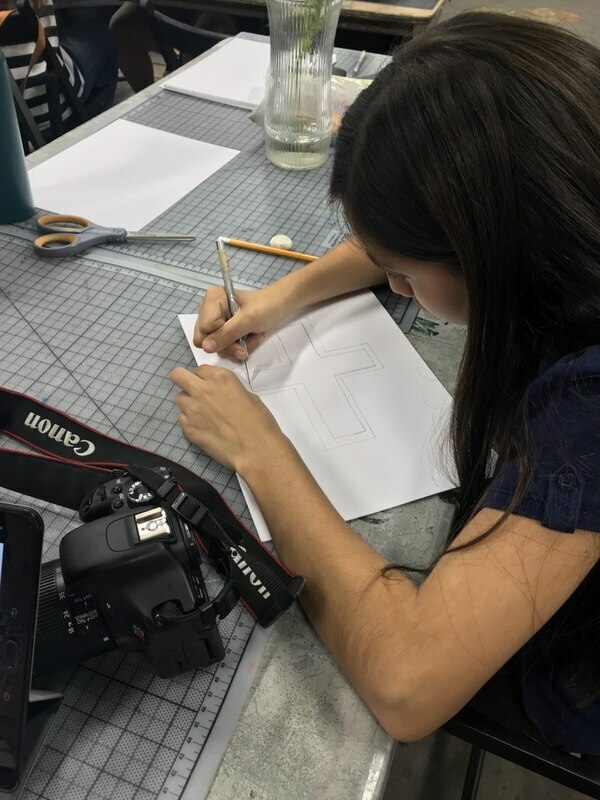 Artists from the organization taught the girls how to use photography, screen-printed posters and hand-painted floral patterns to tell the stories of migrant women. Perez chose to represent her mother with a cactus and a flower. She said the thorns represent all her mother’s struggles. Despite the difficult times in her life, Perez said the flowers reflect her mother’s ability to move forward. Perez said Las Fotos Project has been an eye-opening experience in learning more about her community. Andrea Nicole Popoca was inspired to do photography from seeing her uncle’s passion in taking pictures. She chose her grandmother as her inspirational migrant woman because the two have a close relationship. “What inspires me about my grandma is that she has always been a very brave and independent woman who cares for her family,” Popoca said. Popoca said that one of the fondest memories she has with her grandmother are the stories she shares about how her father came to the United States. Popoca drew a cross as a symbol that represents her grandmother because she is very religious and goes to church every Sunday. Jahana Tellez Dominguez chose her mother because as a single mother she has played the role of both mother and father. Dominguez said that she wants to show her mom how much she appreciates everything she does to provide her with a better life through her work. “I have seen day and night how hard she works to survive another day,” Dominguez said. Alyssa Garcia, Las Fotos Project education and program manager, said that she hopes the girls know that there are possibilities for their work to be spotlighted. 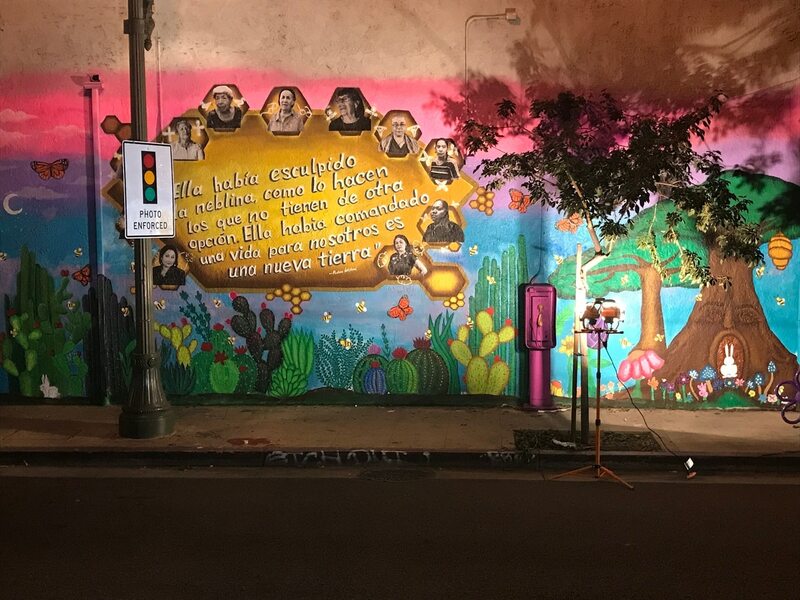 The Migrant Mamas Mural was possible under a grant by the Mary Pickford Foundation. Both Las Fotos Project and Self Help Graphics & Art received a portion of the grant money for the creation of the mural. 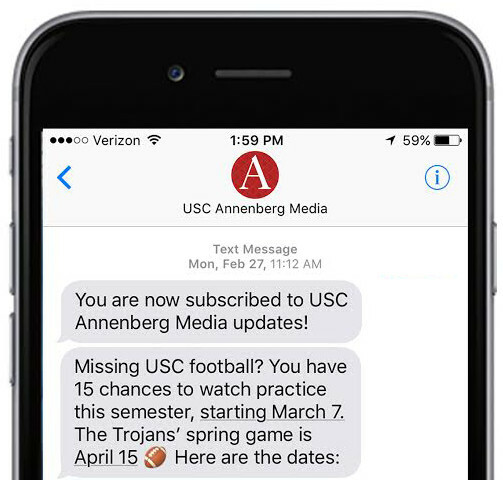 Marcela Valdivia is a journalism graduate student at USC Annenberg School for Communication and Journalism. She focuses on telling stories about the Latino community and has her own podcast called Successful Voices with Marcy. Find her on Instagram @Marcela__Valdivia.